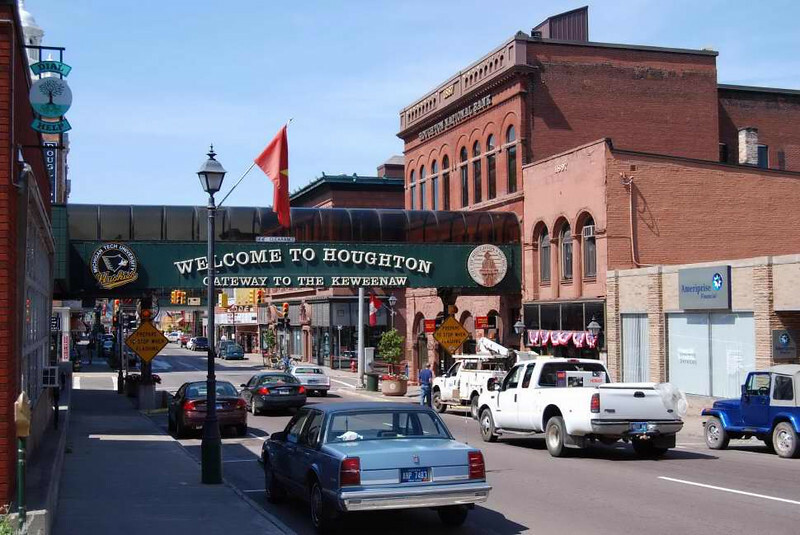 The city of Houghton is located in north western Michigan and has a population of approximately 35,000 people. Located along Portage Lake, the city is full of history and recreational opportunities. In 2008, $1.15 million was obligated for a streetscaping project in downtown Houghton with a local match of $513,500. Houghton also worked with and a combination of traffic and safety, road preservation, and rural development funds to complete the project. Us-41 is the main thoroughfare running through downtown Houghton with northbound traffic on Sheldon Avenue and southbound traffic on Montezuma Ave. The project included funds for historical streetlights, new sidewalks, and to replace asphalt with historical brick pavers. The main challenges to this project were the numerous businesses located on Sheldon Avenue and the cars that passed through. With the road construction season generally from May-October of each year, these businesses were very concerned that the project would have large impacts on their businesses. The initial concerns for businesses near the project were countered with the many effective actions taken by the local government and MDOT. MDOT granted permission to the city to host events on sections of US-41 that were not under construction. These events included art festivals, concerts, and even a bmx biking event that utilized the extra dirt from the project. Construction cash, a one dollar discount to downtown stores were distributed as a way to bring more people into downtown Houghton. These great ideas helped to support businesses that otherwise may have struggled during the construction and helped to rejuvenate US-41 and downtown Houghton.